The blog illustrates different approaches to repair the corrupt hard drive and how to recover files from it using a reliable windows drive data recovery software. Are you unable to access your hard drive? The problem could be that it is corrupt or has some issues. The reason could be that either it has been affected by virus or with time has accumulated bad sectors. Whatever be the reason, your concern is to fix the corrupt hard drive; nonetheless, your prime concern is to recover your data from it. The problem can be solved either manually or through a windows drive data recovery software. For instance, if the problem occurs due to software glitches or incompatibility issues, then manual steps may prove beneficial. In case, the hard drive is at fault or is severely corrupt, then the perfect way to recover data from the corrupt drive is via a reliable windows drive data recovery software. You can also recover encrypted files from NTFS partition easily. In order to repair corrupt hard drive, we should, first, start with the basic workaround i.e. connect the external hard drive to another computer to check whether it is working fine or not. If you are able to access the files stored on it, then Presto! There might be some issues with the drivers installed on your computer; hence, reinstall the drivers. Go to Device Manager, do right-click on the connected hard drive and click ‘Uninstall’. Restart your computer, connect the hard drive and check whether the issue still persists or not. Go to This PC, select the drive, right-click on it and select ‘Properties’. The mentioned workarounds may repair your hard drive but there is a possibility that your data may get deleted. 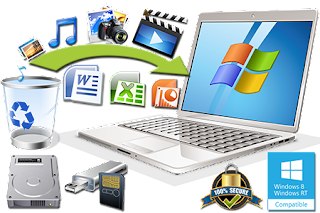 Further, if Windows Utilities are unable to recover your data from the corrupt hard drive, then windows drive data recovery software is your last resort. Conclusion: All these workarounds may repair your corrupt hard drive but before starting the process, make sure that you have a backup of data stored on it. 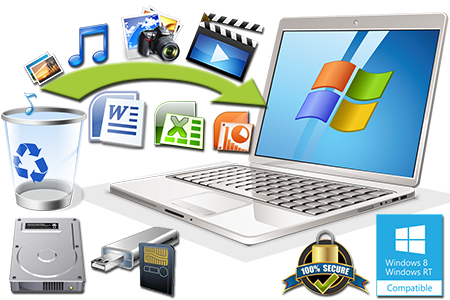 Further, there is a possibility that you may lose your data during the process; therefore, always opt for a professional windows drive data recovery software to recover your data with ease.